We are probably the first site that does an honest review on the All-In-One Antiaging Treatment of the web-based company Lifecell. I normally don’t do reviews on products you can only purchase online. But I will make an exception for LifeCell. In short, this product, including the company is one big scam! 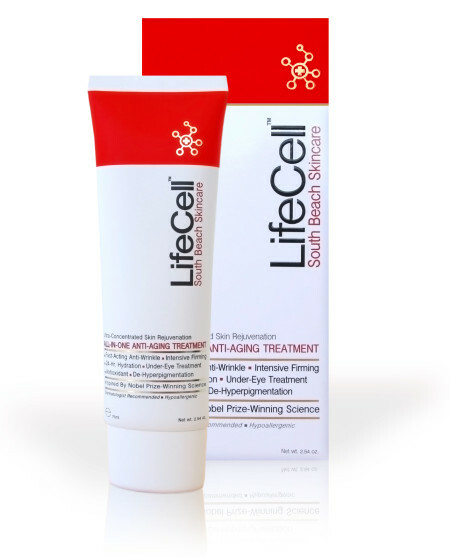 A good friend of mine placed an order online for the 30 days free trial period (only pay for the shipping fee, $ 4.95) , on the official LifeCell site, lifecellskin.com (lifecellcream.com is the same company). After she had done this the problems began. The next day they accounted her credit card with $ 189! We tried everything to get our money back, but with no results. After numerous phone calls to LifeCell we still didn’t manage to get anything back. After we investigated the company, SBS LifeCell, we founded out that on Amazon and Scambook.com (over $ 90.000 in unresolved damage due Life Cell and counting!!) it was full of complaints of people who had the same problem or even worse. Some customers were charged over 3 times, because it seems to be a contract you’re signing up with LifeCellcream.com. Our last hope was her credit card company, which couldn’t refund the money, but they could manage to block future payments to LifeCell. After this had happened I have done research on LifeCell and the people behind it. First of all they do a great job of hiding bad reviews on the Internet. They have lots of affiliate sites (even on YouTube) which “reviews “ the product. They use sentences like “don’t buy LifeCell before you read this” and a great story pops out how amazing it is. It’s very obvious to see that these reviews are fake, BUT I also blame my friend for not investigating the company properly and reading the hidden conditions. I agree with this being a scam, but do not tell people you cannot get your money back from the credit card company. If the credit card company did not refund your money then they are bogus. Stick to the facts.